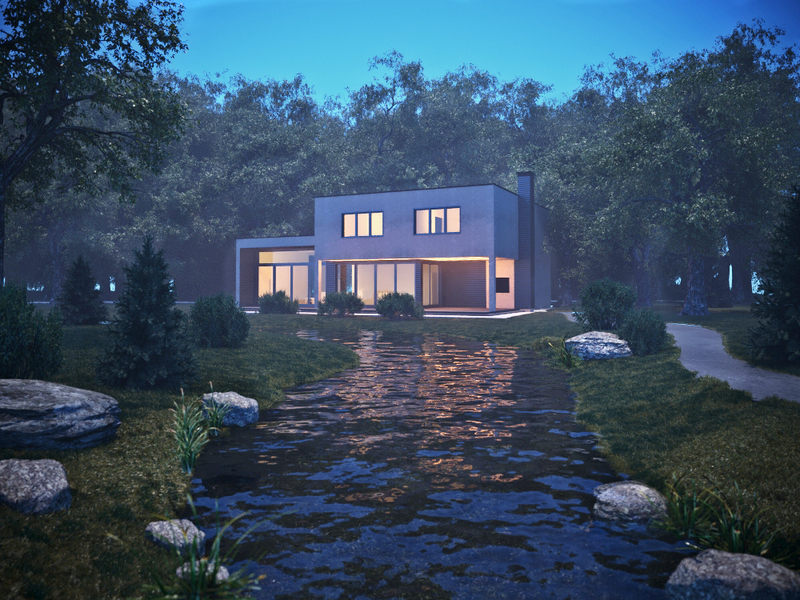 Exterior visualization of a house in the forest. 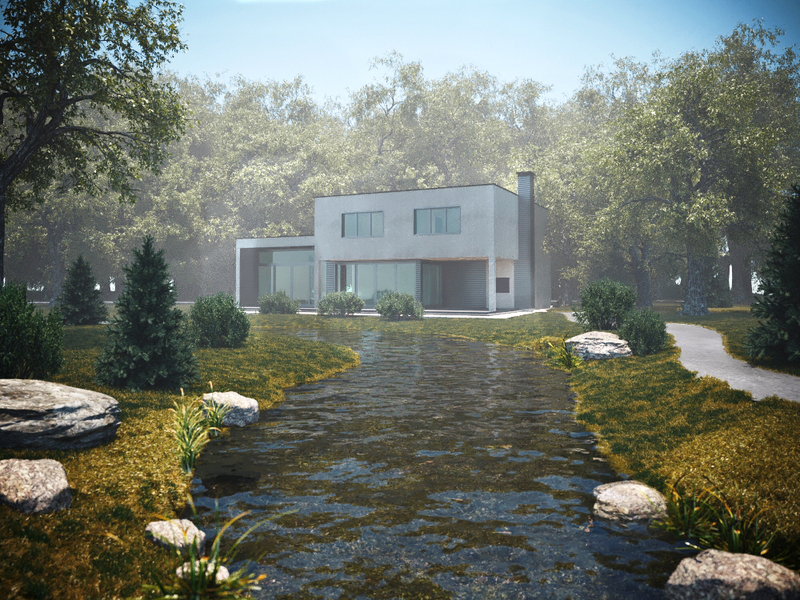 The central place in the composition is occupied by the house itself and its reflection in the river surface .. The basis for the work is taken from a photo from the Internet that inspired me. This is my first experience with the exterior. Very exciting process !!! Probably even more exciting than with interiors)) The most difficult was to make a river. There is a lot of noise in the background, but still very picturesque). Шума многовато на заднем плане, но всё равно очень живописно).